DONALD TRUMP: Our country cannot be the victim of horrendous attacks by people that believe only in jihad. 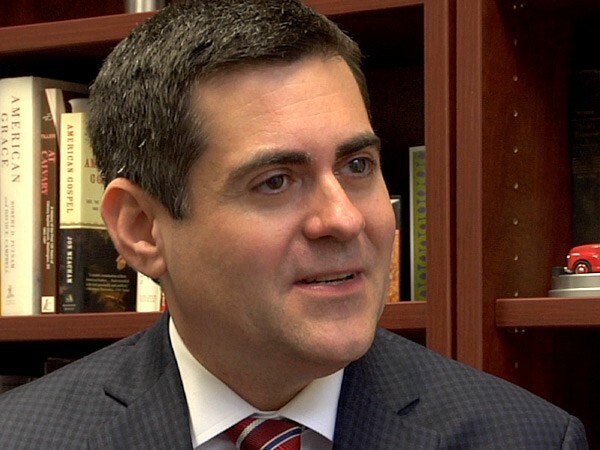 RUSSELL MOORE: The idea of banning people from the country simply because of what they believe? It’s shocking to me. When I first heard this, I had to stop and say, did I really hear that correctly and listen to it again. It’s really troubling. LAWTON: He said his evangelical beliefs motivate him to speak out. MOORE: I believe that all people are created in the image of God and that faith is not something that can be coerced into existence or coerced out of existence. And so when we treat people in demeaning ways, we’re really assaulting the image of God. And so, for me, this is first and foremost a theological issue when we treat our Muslim neighbors this way. 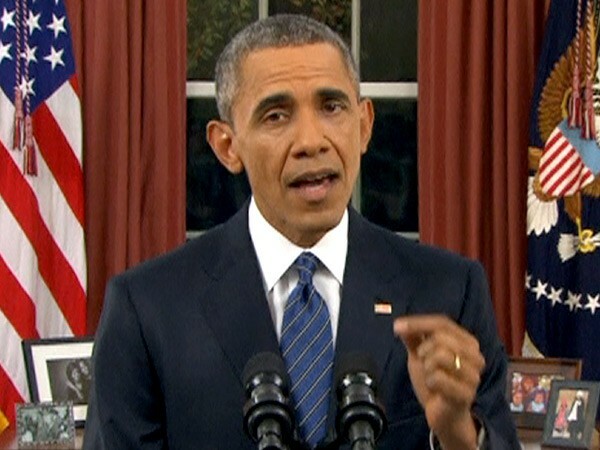 PRESIDENT OBAMA: Just as it is the responsibility of Muslims around the world to root out misguided ideas that lead to radicalization, it is the responsibility of all Americans of every faith to reject discrimination. (It is our responsibility to reject religious tests on who we admit into this country. LAWTON: Meanwhile, fears appear to be on the rise. According to a new survey from the Public Religion Research Institute, 95 percent of US adults say they are concerned about terrorism. Seventy-five percent of them see it as a critical issue for the nation. In 2011, 53 percent said it was a critical issue. Nearly half of Americans, 47 percent, say they are worried that they or someone in their family will be a victim of terrorism. Last year, only 33 percent expressed that fear. Many US Muslims say they continue to face rising hostility. Several mosques have received threats and hate mail. Some have been defaced. At an Islamic Center in Philadelphia, someone threw a severed pig’s head at the entrance. Lawmakers continue debating whether to halt the resettlement of Syrian refugees because of security concerns. More than 150 bishops, presidents of religious denominations, and heads of faith-based organizations urged members of Congress to oppose such legislation. In Indianapolis this week, despite objections from the governor, the Roman Catholic archdiocese helped resettle a Syrian refugee family. Archbishop Joseph Tobin said he was satisfied with the security vetting process, even if the governor wasn’t. Joining me now with more on all this is Dalia Mogahed, a Muslim-American scholar and director of research at the Institute for Social Policy and Understanding, and Father Thomas Reese, senior analyst at National Catholic Reporter and a commissioner on the US Commission on International Religious Freedom. Welcome to both of you. Thanks for being here. Dalia, you’ve spoken that you feel that the nation is at a time of danger right now because of all the rhetoric that’s going around. What do you mean by that? DALIA MOGAHED: Well, first I think that innocent people are in danger. Muslim Americans are being attacked around the country. We have even children being bullied and beaten up at school. But more than that I think our freedom is being attacked. I think our democracy is at risk because we’re being manipulated by fear. LAWTON: And what about the rhetoric that we’re hearing? What implication does that have overall? Tom? REV. THOMAS REESE: I think it’s very dangerous, this kind of rhetoric. And I think it requires that Christians stand up and be in solidarity with our Muslim brothers and sisters. You know, God told us to love our neighbors, and Muslims are our neighbors just as much as Christians or anybody else is our neighbor. And we need to stand up and to speak out in defense of them because we ought to remember that we, certainly Catholics, in our early history, in the 19th century and early 20th centuries, we were the people who were the subjects of discrimination and prejudice from the Know Nothings, from the KKK, from lots of people. So, you know, we should not now be part of the problem when we were the victims in the past. LAWTON: Dalia, is this the same? Do you see, maybe 100 years ago or so, when Mormons, Catholics, and others faced problems here, is this the same? Is there a parallel? MOGAHED: There are incredible parallels. If you look 100 years ago, what was being said about Catholics—their loyalty was being questioned. They were being accused of harboring violence and weapons in their churches. They were being accused of wanting to take over America and owing their loyalty to a foreign prince. And it’s exactly what is being said about Muslims today. And so I think we need to learn. We can’t keep making the same mistake over and over again. REESE: I can give you an example of that from my own life. I was visiting London in the 1980s and had an opportunity to visit the House of Commons. While we were there on the floor of the House of Commons, the tour guide pointed out a plaque on the wall to the minister of Ireland “who was killed by the Irish Catholics.” Not by the IRA, not by the terrorists, not by the Provos. Killed by the Irish Catholics. And nobody blinked. And so I understand when Muslims hear this kind of language coming out of people how they react, because it was the same kind of language that I heard. LAWTON: And how does the nation respond to that, or avoid that, then, moving forward, so perhaps the same situation doesn’t keep happening over and over again? And especially the religious communities. 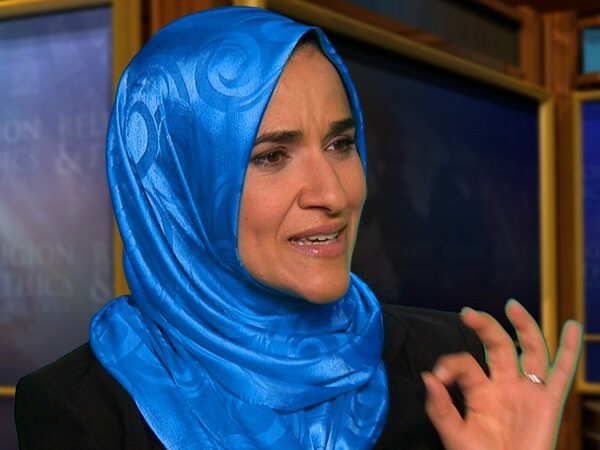 MOGAHED: I think the religious community can just act on their faith and stand up for justice. They need to call out this bigotry and say no, not in our name, and we’re better than this. LAWTON: Is there enough of that going on? Is it getting enough attention in the midst of all the noise of everything else? REESE: You know, I think more and more Christians need to stand up, need to speak out on this, because the noise on the other side is just too much. We need to counter that. We need to stand with our brothers and sisters and Muslim community and say, no, this is inappropriate. This is wrong. You know, when people are talking about closing down mosques, well, if the government can close down a mosque it can also close down a church. There are religious liberty issues here that apply to Muslims, and if you take them away from Muslims then you can take them away from Christians or anybody else. 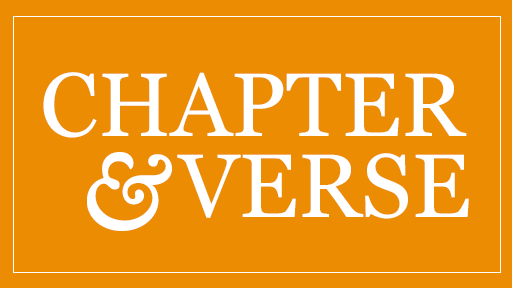 MOGAHED: One example of that actually was the Blaine Amendments. They were targeted to curtail the rights of Catholics, specifically Catholic schools. And what happened when these kinds of laws were passed is that then they applied to everybody, and it was hurting the religious liberty of many more people. And I would caution us against thinking that being against one group isn’t going to spill over and hurt many more people. LAWTON: And just very briefly, Dalia, what is the responsibility of the Muslim community also within this? MOGAHED: I think the Muslim community has the responsibility of every other American, which is to stand up and call out injustice and things that they disagree with according to their faith. And that means educating people on the true tenets of Islam, and that includes their young people. I mean I’m a mother, and I’m very concerned about religious literacy within our youth community. People need to understand what their faith is really about so that they’re not exploited by extremists, whether it’s on the Internet or anywhere else. LAWTON: We have to leave it there. Thank you very much. Republican presidential candidate Donald Trump’s call for a “total and complete shutdown of Muslims entering the United States” has generated a vigorous national debate about tolerance and national security. Many in communities of faith are condemning Trump’s proposed plan as discriminatory and a violation of religious liberty. 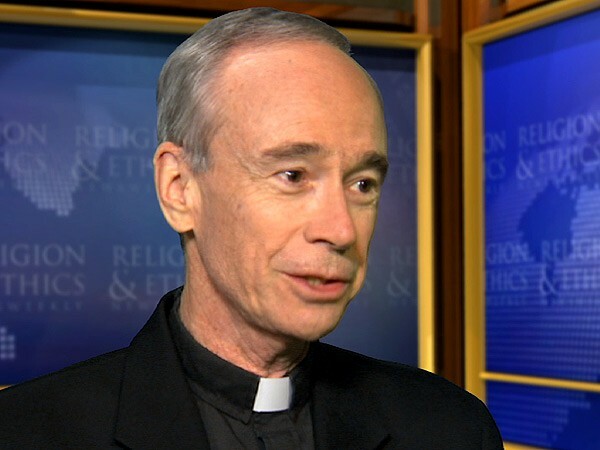 Watch our conversation with National Catholic Reporter senior analyst Rev. Thomas Reese and director of research at the Institute for Social Policy and Understanding Dalia Mogahed.